You’ve visited the Textual Research room and submitted a pull request only to get back a yellow paper saying your request is available on Microfilm. Don’t Panic! That means you don’t have to wait for another pull time. Instead you can head straight for the Microfilm research room (ground floor at Archives 1, fourth floor at Archives 2), which is self-serve! That yellow slip probably came with an alpha-numeric publication number (e.g. M23 or A3340). 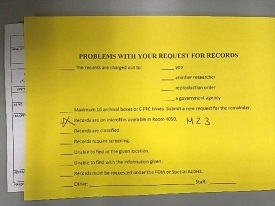 Bring the pull slip and yellow paper to the Microfilm Research Room, as that will help the research room staff find your records. To find microfilm, you can either go through the main Archives Catalog or the Microfilm Catalog to see which National Archives sites hold that publication, as well as if that publication series has a descriptive pamphlet for you to use (and download). Descriptive pamphlets allow you to narrow down which reels you’ll need. There are also finding aids in the research room to help you find what you are looking for. ***HINT! Several older Microfilm Publications (usually of pre-1850s records) have been compiled into published collections, which will usually be noted in the descriptive pamphlet. 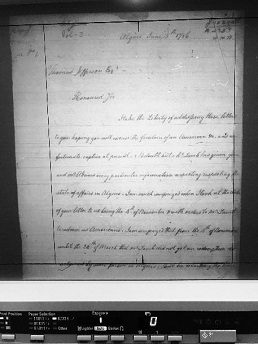 Some of these, such as the Naval documents related to the quasi-war between the United States and France, 1797-1801, have also been digitized by various organizations. The site HathiTrust may well be worth a quick check! Once you know your publication and reel numbers, you’ll need to find their location. In College Park at Archives 2, we use a large binder, known as the Locator. It is arranged alphabetically by publication type, and lists publication number, series title, location (Cabinet/Drawer), if it was declassified, and if there is a descriptive pamphlet. Once you’ve found your publication in the cabinet, you can take out four reels at a time. Meanwhile, in downtown DC at Archives I, you can pull one reel at a time. There, you'll use the Location Register in the Microfilm Room on the ground floor to find the location of the microfilm that you're looking for. The book is arranged by publication number as well as according to the Record Group number. 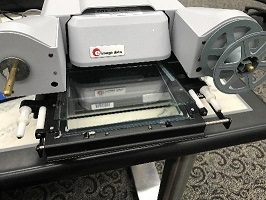 In an effort to ensure that all researchers have access to the types of readers they need, we ask researchers to sign up for a reader time slot based on their particular microfilm reader needs (see our previous History Hub post for more information). In downtown DC at A1, there are 15 functional Microfilm readers (9 for scanning, 4 for printing, and 4 for viewing). 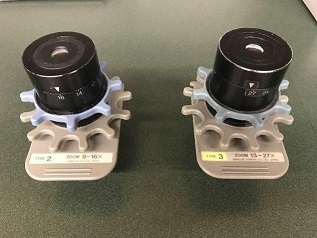 Here in College Park at A2, our Microfilm Research Room has 14 Microfilm readers (2 for scanning to USB, 5 for printing, and an additional 7 for viewing/taking notes/photographs). 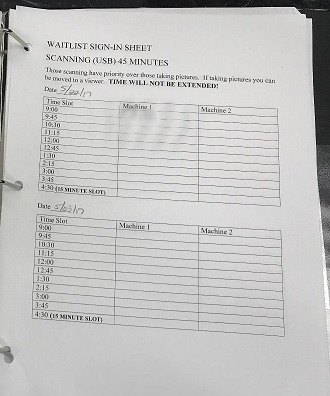 Those two scanning machines are available on a sign-in, first-come first-serve basis, with each sign-in period lasting 45 minutes. 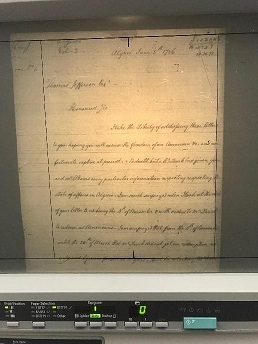 The scanners allow you to edit the microfilm image prior to saving. But if you are unable to use one of them, don’t worry! Here are a couple tricks you can use to get the best image on non-scanning machines. You’ll need a smart phone or digital camera. You can use one of many free (or inexpensive) scanning apps which you download on your phone. These allow you to use your phone’s camera as a handheld scanner and save the image as a PDF. Many allow minor editing to be done in the app before you export the file. After that, you can use whatever photo-editing software you prefer to adjust the contrast, clarity, and brightness of your images to your liking. We also offer camera and smart phone stands for your convenience, and there are outlets at each station for your charging cables. Gently pulling the loading tray forward (whether on the Minoltas or scanners) allows the glass to lift so you can thread the film through without damaging it. Please make sure you match your microfilm reel size to the same take up size (16 mm to 16 mm, 35mm to 35mm). If you are working on a Minolta reader, there are two lens sizes available: #2 (9-16x zoom) and #3 (13-27x zoom). 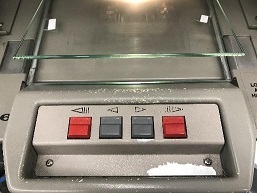 The top knob (blue) controls your zoom, and the bottom knob (grey) controls your focus. If you need a different size lens, please let staff know. You have turned the scanner ON (indicated by a green light on front of machine) – or the program will not open. 2. 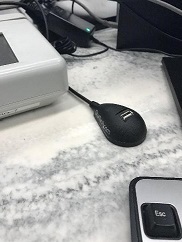 You have plugged your USB into the dongle on the desk (shown below) – NOT into the computer itself. When you are finished with your reel, pull the tray forward again. This will allow you to ‘speed’ rewind. Then remove the rewound reel and return it to its box. 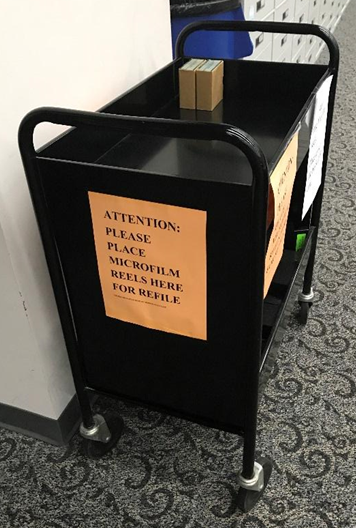 We ask that researchers refrain from refiling their own microfilm reels, but instead place them on the cart provided. Staff will refile microfilm reels to ensure they are returned to their correct locations.